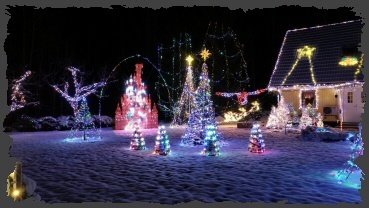 Welcome to my site full of christmaslights! Do you know its only days til Christmas! to a wonderland of brightly shining christmaslights. Right in the middle of snowy Sweden, there will you find me. me anything about the lights.